Features / The Divine Feminine 30 October 2015 / Art Universe 4 October 2015 / Everyday Women 10 September 2015 / Layered Up 9 September 2015 / Take a black and white scan of actress Miss Lillah McCarthy (1875–1960) as Viola in Twelfth Night (1912) from an issue of Play Pictorial in my theatre collection. Throw on some magic with Photoshop in the form of textures by 2 Lil’ Owls along with a Cretan seascape photograph shot from on board a fishing boat, plus a texture from Angie Makes, and Viola is transformed, translated. I’m thinking of Quince to Bottom in A Midsummer Night’s Dream (’Thou art translated’, Act 3, Scene 1) when I use this word in the title. • Also buy this artwork on stationery, apparel, stickers, and more. I do hope this is not apocryphal! 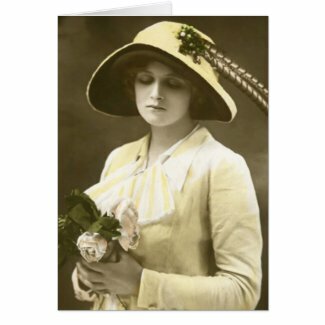 Unless you’re a theatre buff, you will probably only know Gladys Cooper for her grand ladies on screen such as Bette Davis’ mother, Mrs Henry Vale, in Now, Voyager or Beatrice Lacy in Rebecca. I always find it enchanting to see how beautiful these wonderful actresses were in their younger days. Have you ever seen a photograph of Ethel Barrymore when young? I think you’ll be surprised. 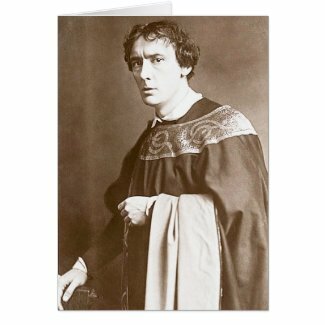 Which reminds me that I have a terrific theatre postcard of her brother John with which I must do something before the century turns. My starting point for this piece was a divine original book-plate from 1899 of the British actress Miss Dorothea Baird (1875-1933), which I bought from collectors Vintage Views, along with a few other goodies which will be revealed in the weeks to come. I will be posting the original on First Night Vintage at some point but here I have superimposed a vintage theatre programme from my archive for a production at the Lyric Theatre onto the curtains of the original. If I were to tell you the number of other images and textures I used, including Island in the Storm, you probably wouldn’t believe me! 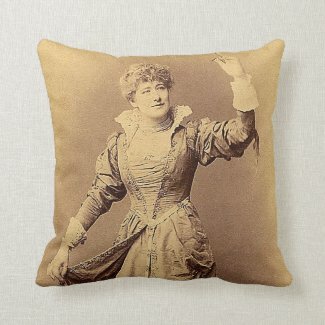 Dorothea Baird first appeared on stage in 1894 for the Oxford University Dramatic Society or OUDS as Iris in The Tempest. She performed in several Shakespeare productions in the following years, often with her husband, H. B. Irving, Sir Henry’s son. 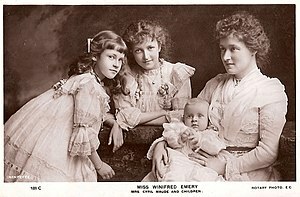 She also originated the part of Mrs Darling in Peter Pan (1904). 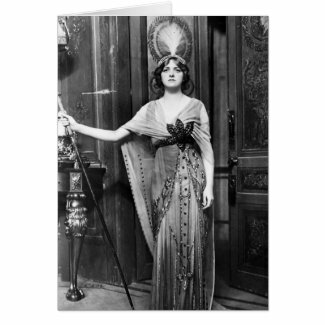 It was a short but notable career, ending in 1913 when she retired and concentrated her energies on charitable causes. Mr. H. B. Irving (1870 – 1919) as Hamlet at the Adelphi Theatre 1904. The text below is an extract from what is printed on the reverse side of the book-plate and is an effusive, to say the least, appraisal of Miss Baird and her trumpeted performance in the title role of George du Maurier’s Trilby, produced at the Haymarket Theatre in 1895. You will not have read the like in the 20th or 21st century! I am reblogging this post to commemorate the birth of artist John Singer Sargent on this day in 1856. The Italian-born American artist John Singer Sargent (1856-1925), who was renowned for his society portraits, persuaded Dame Ellen Terry (1847-1928) to sit for him in 1889. 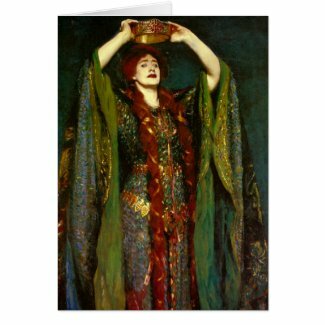 According to Tate Britain, where the painting is on display, this particular pose was never a part of her actual interpretation of Lady Macbeth, which she first performed opposite Sir Henry Irving at the Lyceum Theatre in 1888. 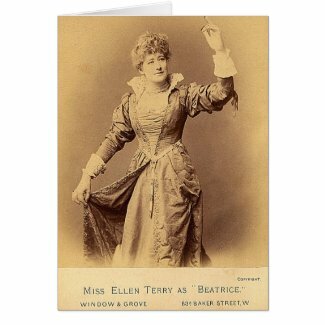 The famous beetlewing costume was restored to its full glory between 2006 and 2011 and is back on display in the Ellen Terry Museum at Smallhythe Place in Kent, the last and much-loved home of the great actress. The Guardian reported in March 2011 that the gown ‘had led a hard life, particularly given Terry’s reputation for arriving late and dressing at frantic speed’. Have a great weekend. Take care and keep laughing! A pretty actress exhibits poor posture as she poses in London, England, at the studio of Ellis & Wallery. The performers name is Miss Lilian Carlyle, and she appears to be pushing her chest out, possibly to amplify her ample bust. Is there a chiropractor in the house? Printing on the reverse of the photograph states that the studio was established in 1884. The backdrop employed in this portrait is not particularly realistic but at least it doesn’t detract from the portrait and allows Miss Carlyle to be the major focus.